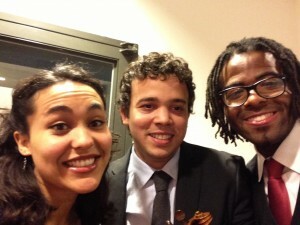 Mariana Hutchinson Siemers (violin), me and Vernon Chatlein ( Percussion) after performing my piece at the “Koninkrijksconcert” last year December. 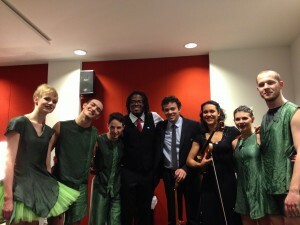 The modern dance ensemble that performed my piece. The choreography was done by Regina van Berkel.